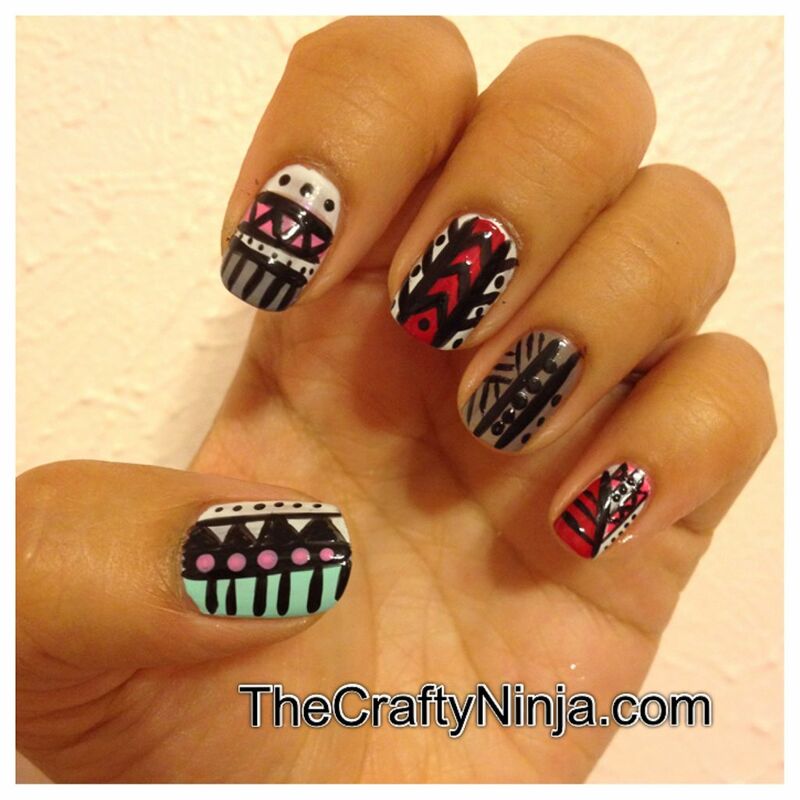 I love Tribal/ Aztec prints and I was inspired by the current fashion trend of tribal designs to create this nail art look. Tribal or Aztec prints are all about lines, dots, geometric shapes, and color blocking. There is no right or wrong way just let your imagination run wild! 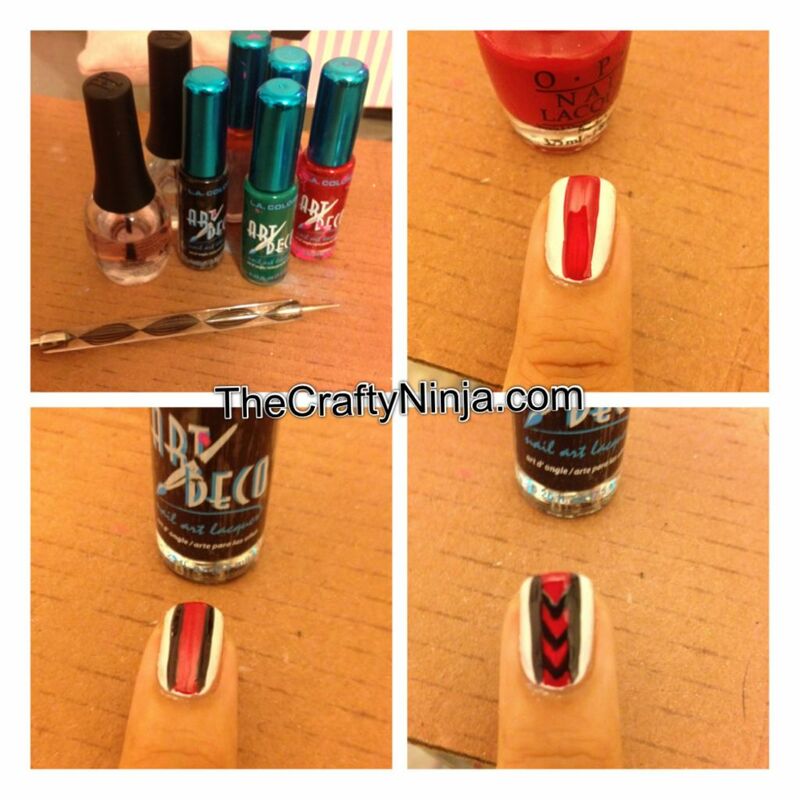 I always use Finger Paints Base Coat and Finger Paints Top Coat to seal and protect my nails. 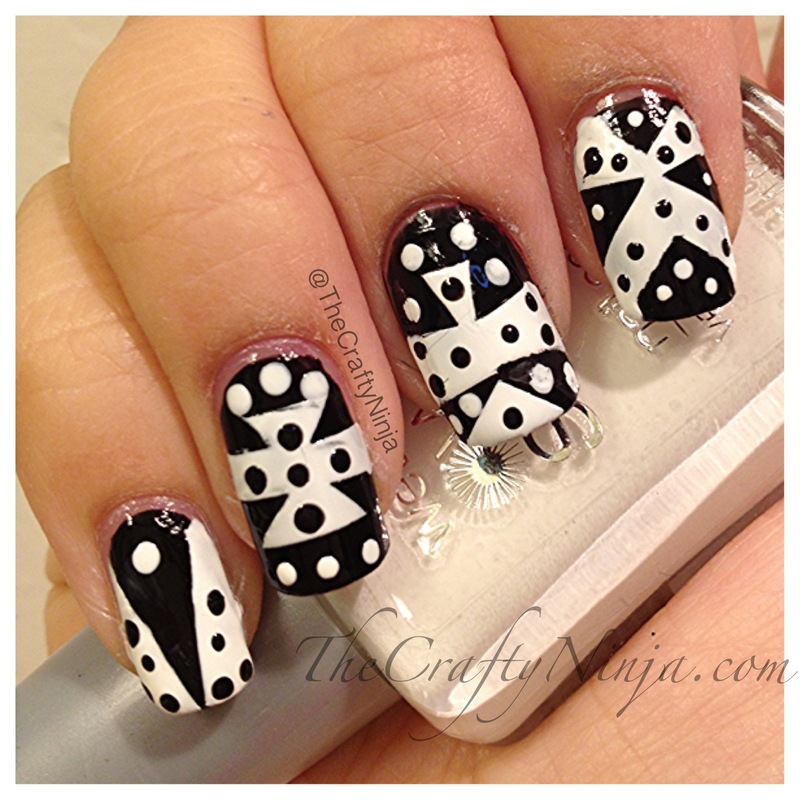 First when creating tribal nails the tools needed are nail dot tool and art deco nail polishes, these have the skinny long brush to easily decorate and create line designs. 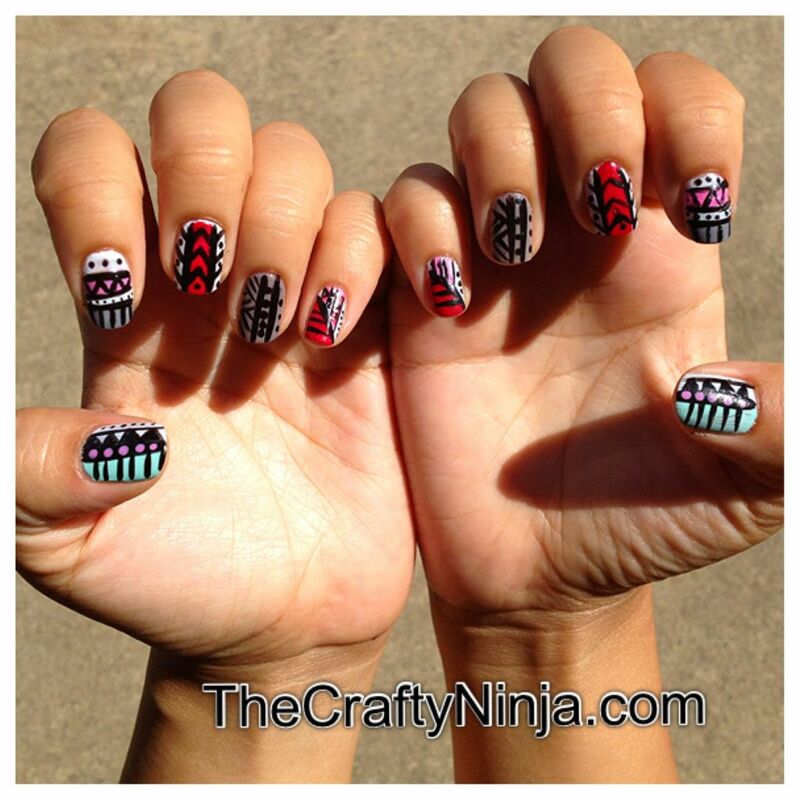 I have shown an example of one of the fingers I did with the tribal print. Here’s both hands. It was kind of difficult to create this look on my right hand but I think I succeeded. I seriously love this,, I need to try it :3. Thanks! Let your creativity flow!